This kit offers amazing braking at an affordable cost. 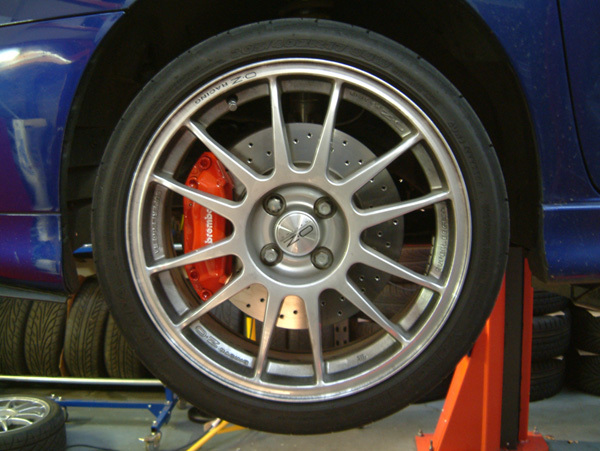 With the added benefit of greatly improved pedal feel over the stock single piston caliper design. The oversized set up is larger than the TT (1.8T) 312mm brakes gaining increased brake torque and thermal capacity. 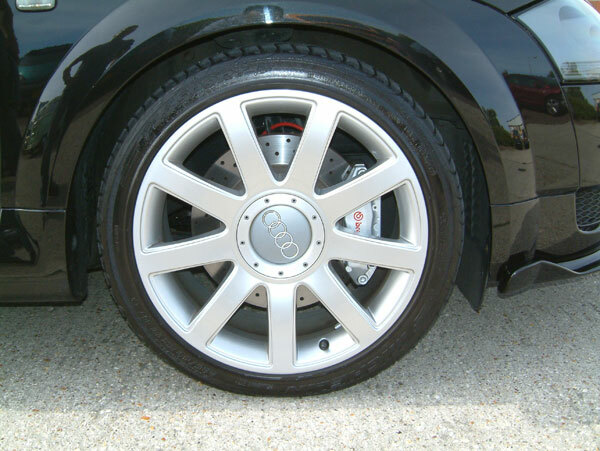 The Drilled discs facilitate dispersal of gasses and revive the friction material of the pads for top performance. If you are looking for extra braking performance coupled with enhanced looks, then this is the kit for you. 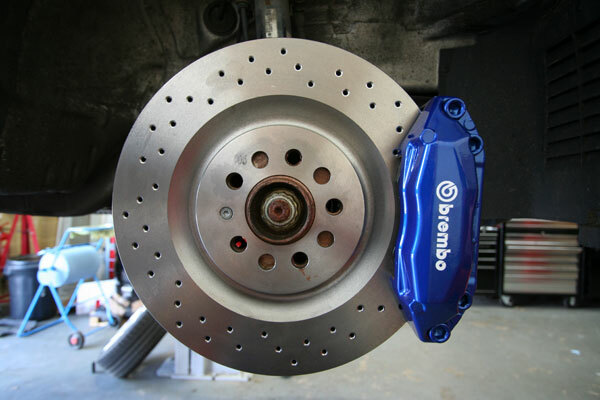 The kit is available off the shelf in the red caliper finish Brembo are famous for, but we can also supply the kit in other Brembo colours (black/silver – special order). 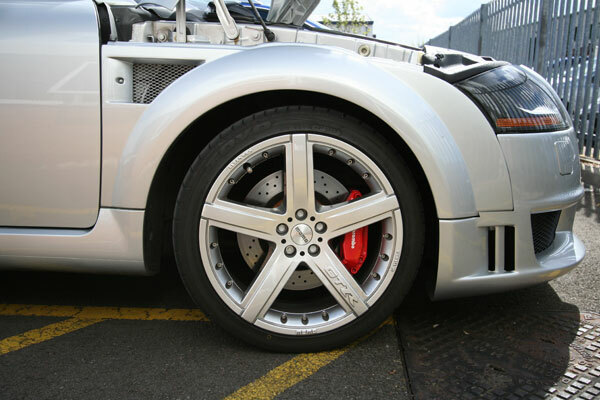 We also offer a custom colour service where we can paint the caliper to your specified colour and include custom cut graphics. Please contact us for a quote to do this. For all you 3.2 customers, your stock brakes are larger than this kit as standard (334mm x 32mm). However, although this kit is slightly smaller in size, it will out perform your 2 pot caliper setup and you will gain a firmer brake pedal and bite too. You will also gain the added benefits as listed above. 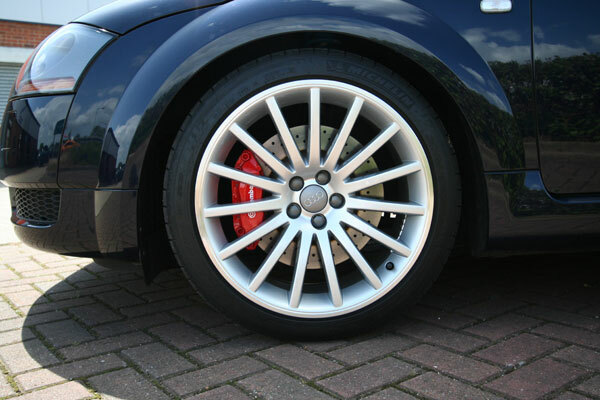 Most wheels require a spacer (8-10mm) to clear the spokes from the wider caliper, these are not included in the kit. This depends on the offset and style of wheel. 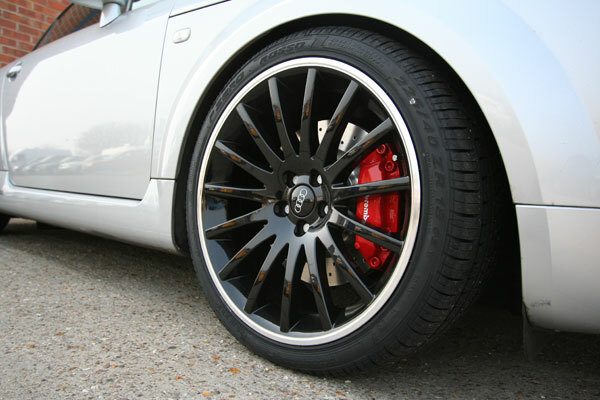 An OEM 18” TT wheel usually needs 10mm spacing each side. 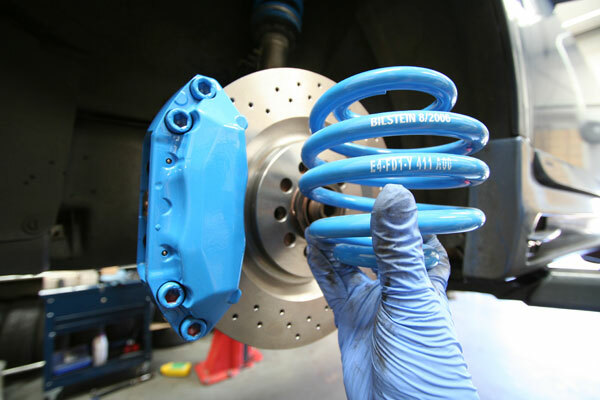 Most customers use a H&R spacer kit 10mm (-20mm track) front and 15mm (-30mm track) rear, these are available separately with longer locking bolts and bolts.